If you live in China, there is a big chance that you have heard of Netflix, but never had the chance to access it. Netflix is the world’s most popular streaming site at the moment, hosting popular TV shows like Black Mirror and the Crown along with an entertainment catalogue comprising of thousands of movies, animated series and more. So, If you need to know how to access Netflix China, then this guide is for you only. Netflix is not officially available in China and if you want access to it, you will need to use a Best VPN to get past the geo-restrictions. To know more on how to do this, read this comprehensive guide on Netflix China containing the best VPN to unblock Netflix China, how to unblock Netflix using Smart DNS, what is the Great Firewall, why Netflix isn’t available in China, Netflix VPN ban and a whole lot more by BestVPN.co! China has had a big history of banning websites and content that find their base in the Western World. Most critics and people say that it’s due to the strict censorship regime in place in the country, but others, more accomplished people tell us that this is due to protectionism policy of the country. China has made exact replicas of foreign online services to power two simultaneous objectives. The first one is that its native firms allow the regime to push its censorship policies more easily as these firms don’t create any hassles when it comes to compliance with strict local censorship laws, while the second reason being that the profits that non-native firms could have made from China, are pocketed by these native firms. China’s massive population size allows it to work on both these objectives quite easily and in talking about Netflix, there are a lot of Chinese replicas of the site available in the country. The most notable example of this being iQyi, which has around 50 million subscribers as of now. iQyi also produces its original TV shows like Netflix does, however, iQyi is quite a benign service as compared to the behemoth Netflix has become. If you a Chinese looking for some great entertainment, then Netflix, as a streaming option, is incomparable to the native streaming providers available to you. Without Netflix in your life, you are definitely missing out on some exhilarating shows like Orange is the new Black, Black Mirror, Altered Carbon The Crown and a whole lot of others that making the world go crazy right now with their never seen before storylines, newer characters and some stupendous special effects. However, contrary to popular perception, Netflix isn’t exactly banned in China, its just that service hasn’t yet rolled out for this country yet. Netflix opens up its subscription country by country and this only happens after it finalizes the deals of engagement, territorial copyright laws etc. This hasn’t yet happened for China, mostly because China is a difficult regime to handle as compared to majority of other nations. The Chinese Government doesn’t like anything being aired or put on access for their internet denizens that doesn’t comply with their ideology and censorship requirements. There is very restrictive freedom of speech in the country which makes it a whole lot more difficult for Western streaming sites to launch their services in China. Its highly unlikely that Netflix will officially become available to Chinese users anytime in the near foreseeable future as there are so many obstacles for this scenario to meet reality. 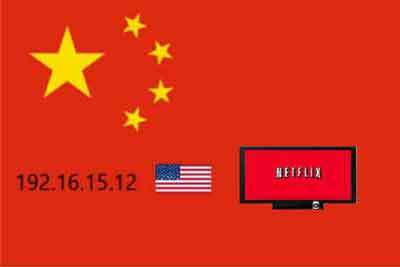 The best way therefore to access Netflix from China is through the Best VPN for china. More on how to do this later in this free vpn for netflix guide. For viewing Netflix in China, you will definitely be needing a VPN as it will allow you to re-route your connection to a region where Netflix is officially available like the United States or France. Another way to go through with this is by using a SmartDNS Proxy, which is the next best alternative to a VPN for allowing you to access Netflix from China. Both of these methods are used to bypass geo-restrictions on streaming sites across the world and each one of them has its own set of pros and cons. While both of them possess the ability to unblock geo-restricted content like Netflix in China, you definitely need to assess them and their functionality before zeroing down on what’s best suited for your needs. SmartDNS is used by many people to unblock geo-restricted content from across the world. Its simple to use, easy to configure and does the job of unblocking well. But there is one big problem in using a Smart DNS for unblocking and that is, it doesn’t provide any sort of security through encryption or other data protection tools to keep you anonymous online. This makes you immensely vulnerable using a SmartDNS in a country like China as it makes it easier for the authorities to find out where you are located quite easily and that can land you up in some serious legal troubles and even jail time. This guide is for setting up SmartDNS on Windows 10. In the second set of options available to you, uncheck “Obtain DNS server automatically” and check on “Use the following DNS server addresses” and proceed to fill out the boxes for Preferred DNS server and Alternate DNS server. This is where you need to enter your Smart DNS addresses. While you can manually setup a smart domain name server on your own, the process for that is too long and cumbersome. A better way is to use a third party DNS provider for this like SmartDNSProxy.com, which offers multiple Smart DNS server addresses which you can easily access here https://www.smartdnsproxy.com/Servers. Using a VPN to unblock Netflix US in China is a very tricky thing as you need to bypass the Netflix VPN ban to get past the geo-restrictions on the site. Netflix started banning VPNs once it found out that people were using it to circumvent the geo-restrictions on site, making it incredibly hard for a majority of VPNs to get through. Only the Best VPNs can now guarantee you access to Netflix by getting past the VPN ban. For this to actually function properly, you need to contact the VPN support of these Top VPNs and find out the dedicated US servers for unblocking Netflix, otherwise you wont be able to do it. We’ve included a similar server guide by VPN for unblocking Netflix which you can check out in this blog on Netflix VPN ban. Enjoy Netflix US from China! Apart from Netflix, there are other great streaming options available to you if you are looking to access geo-restricted content outside of China. Either you have a VPN or a SmartDNS in China, you can use it to build more value for yourself by increasing the entertainment options available to you. As you already know about the Netflix VPN ban that has made it difficult for most VPNs to bypass the geo-restrictions on Netflix, there are very few remaining VPNs that are powerful enough to circumvent this VPN ban on the site while also performing the task of protecting you from surveillance by Chinese authorities. While the world knows about the Great Wall of China, which is a momentous piece of human heritage spanning hundreds of miles into the breath-taking Chinese countryside, few people know about another Great Wall of China i.e. The Great Firewall. The Great Firewall is notorious for banning and blocking any sort of content or media from the Chinese internet that the Chinese authorities do not deem fit for consumption or access in China. In one very recent example of this Great Firewall in action is the ban on HBO and all of its subsidiaries in China which was initiated after a satire TV show by the name of “Last Week Tonight with John Oliver” aired some satirical remarks on the Chinese President. There is still a blanket ban on the channel and all of its subsidiaries in China. And its not just TV channels that come under fire from this Great Firewall, big internet sites like Google and Facebook have also been banned by the same Firewall because they are not compliant to “Chinese regulations”. For Netflix, despite not being banned, we don’t see the site launching officially in the country any time in the near future because of the numerous TV shows and movies on the site that might need to be removed from access, making the site look immensely unattractive. Can I use my Netflix in China? If you have a valid Netflix subscription and have also subscribed to the best VPN, you can easily watch Netflix not just in China, but also in other countries where its not available yet like Syria and Iraq. 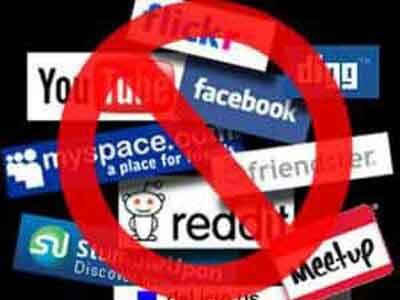 A majority of Western sites are blocked in China. Some notable examples include Google, Facebook, Gmail. Twitter etc. Is there Amazon Prime in China? No, Amazon Prime is not available currently in China, but if you want to access it, you can do it by unblocking the site through a Top VPN when you connect to a US server. Is Youtube blocked in China? Yes, China doesn’t like YouTube as well. China’s biggest problem with YouTube is its crowd based content creation model, where anyone is free to post anything it creates, a scenario which doesn’t go down well with Chinese Authorities who believe that no content should be aired or given access to if its not cleared by the Chinese authorities. 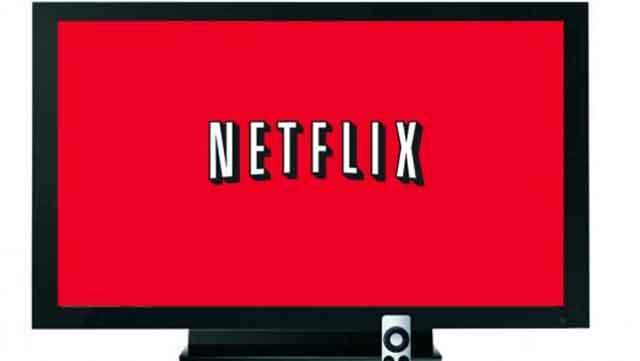 Hope this Netflix China guide will give you the best to access Netflix without any hassles. 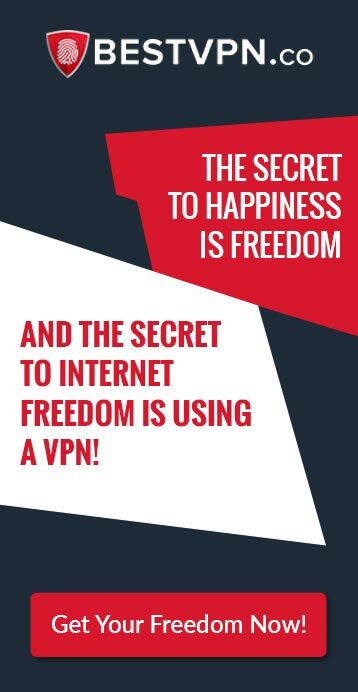 Your best bet for accessing Netflix in China lies on a VPN as it will provide top grade security and online anonymity along with unblocking features to give you a supremely secure and enjoyable experience. Obaid Chawla is a innovation buff with a propensity to debate hard. He has a deep interest in how humans can push things forward in the fourth and final Industrial Revolution and loves covering every single development that takes place! 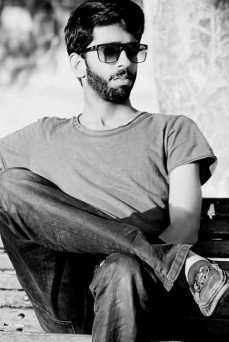 He's also freelancing in making new friends and communities! Best VPN for iPhone – Get Maximum Security on all iOS Devices! Downloading, streaming or unblocking copyright content is unlawful. We by no means promote or encourage any illegal activity. Users are responsible for their own actions. We might earn commissions, if you buy a VPN through our links, learn more.